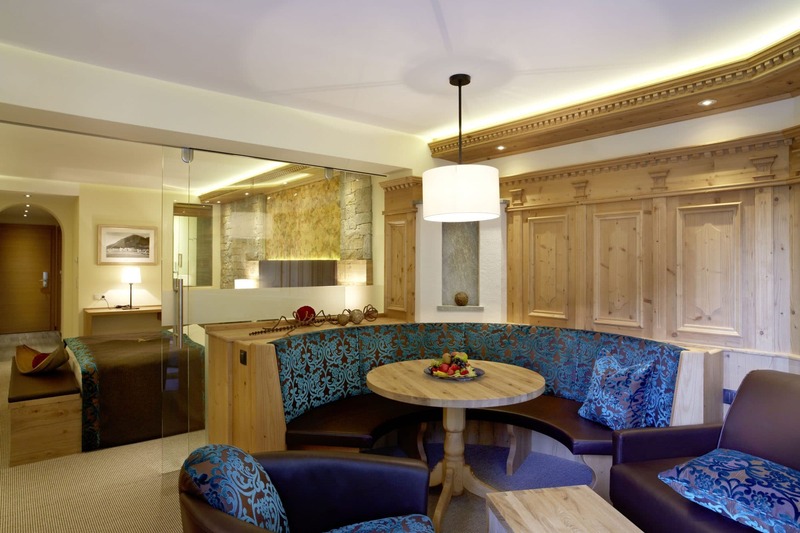 What makes a room a private area of retreat? 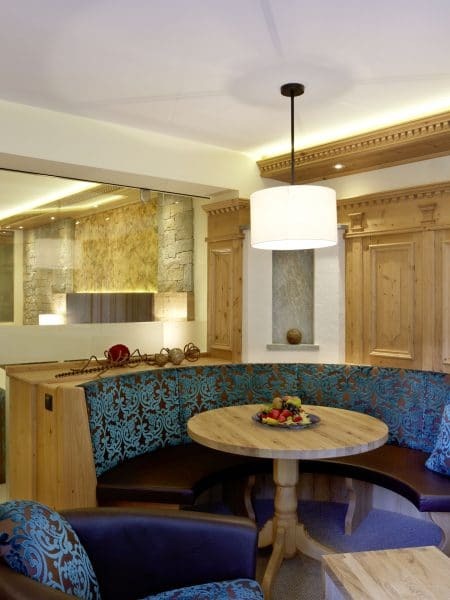 A bold and sophisticated designed? 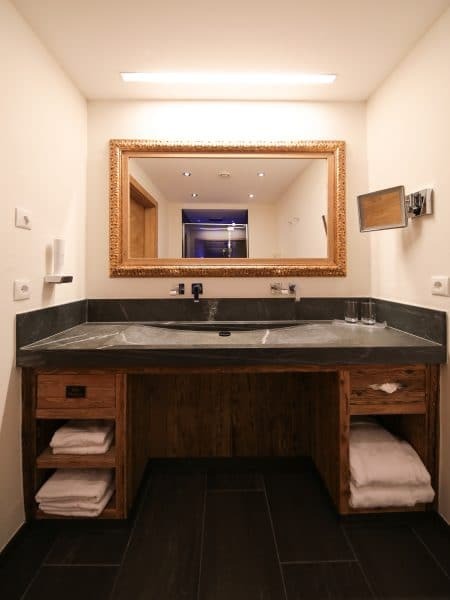 Many details and fine materials? 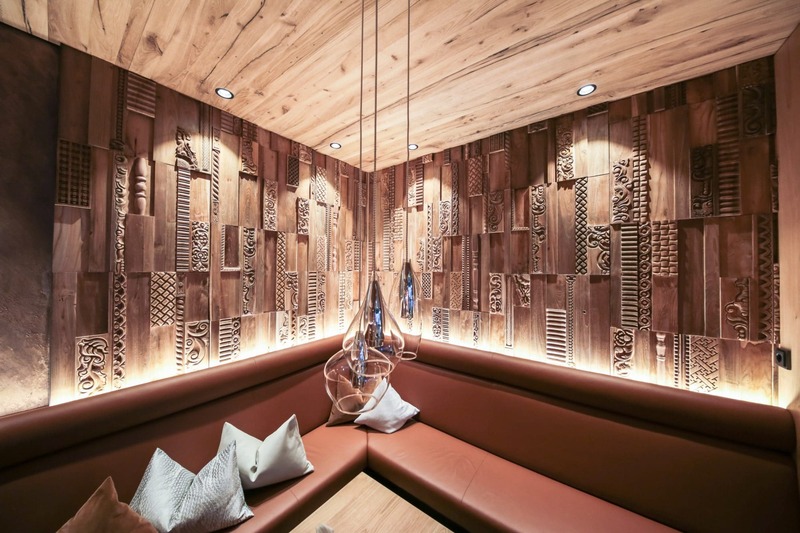 Real natural representatives and modern stylistic elements? 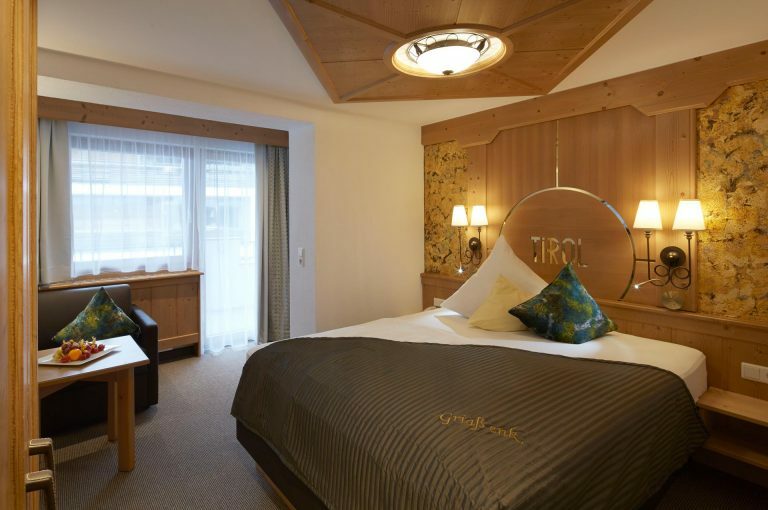 We say: it is all of these – and would like to invite you to find exclusive pleasure of living in our 4-star Hotel in Ischgl. 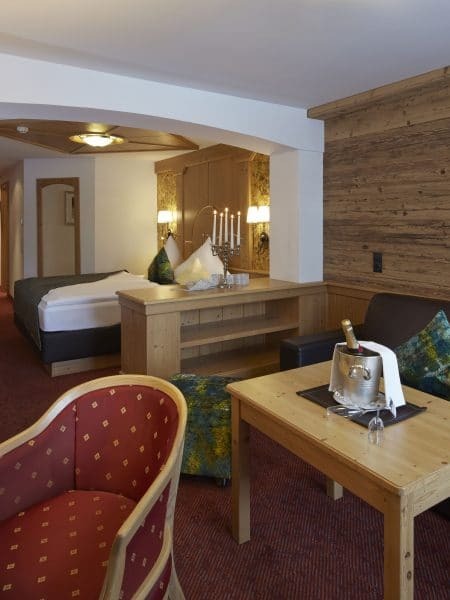 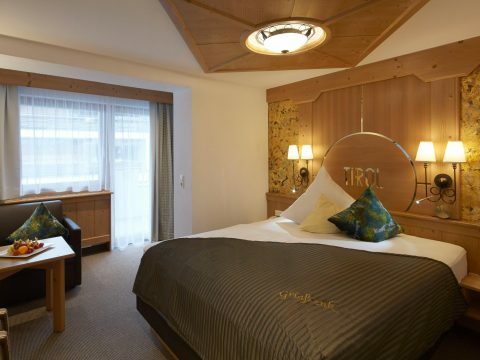 Our 50 rooms & suites in the centre of the village and directly at the Silvretta cable railway provide for a top location and a charming atmosphere. 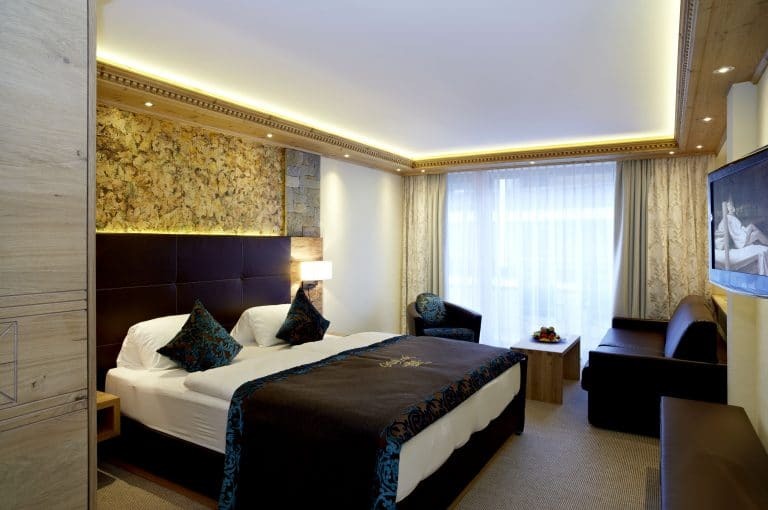 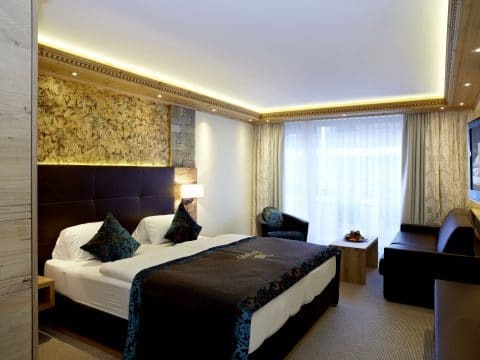 Each category has its advantages and provides for exclusive hours of precious company. 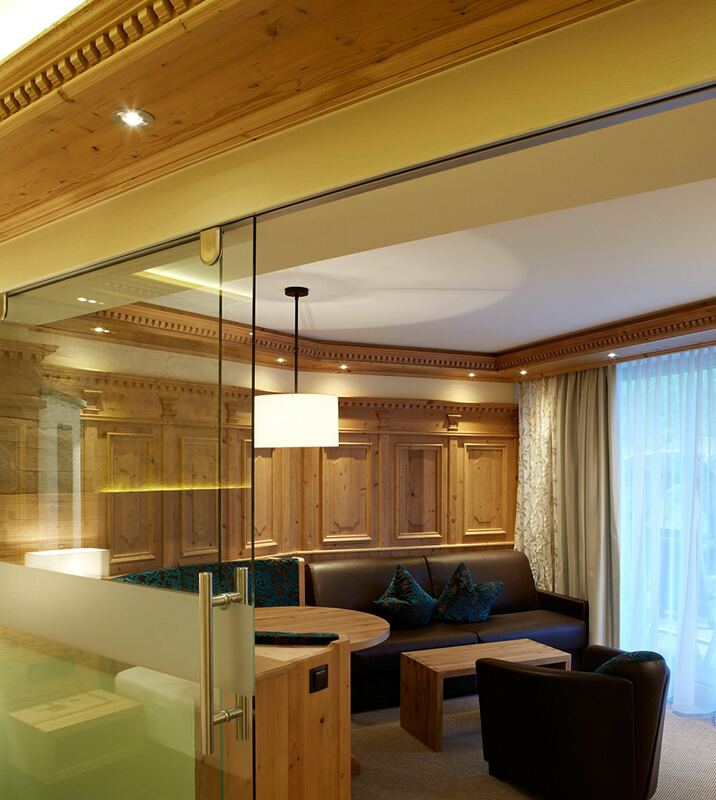 Tyrolean, elegant and inviting in a stylish way. 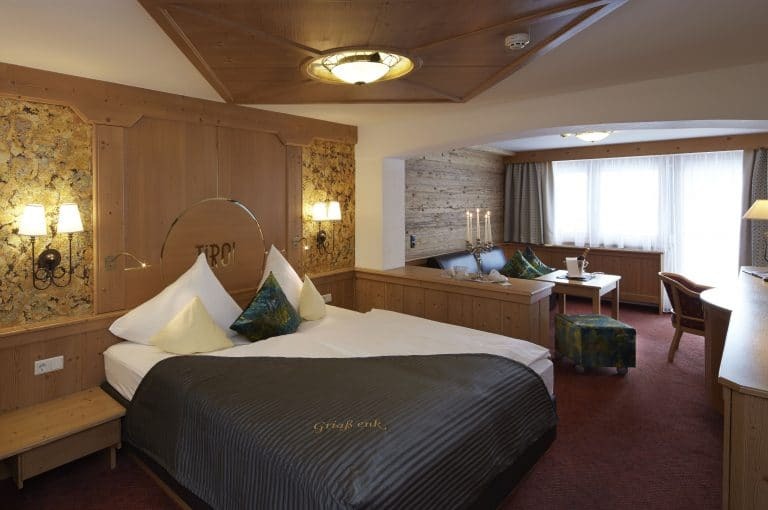 The rooms in our hotel Tirol in Ischgl. 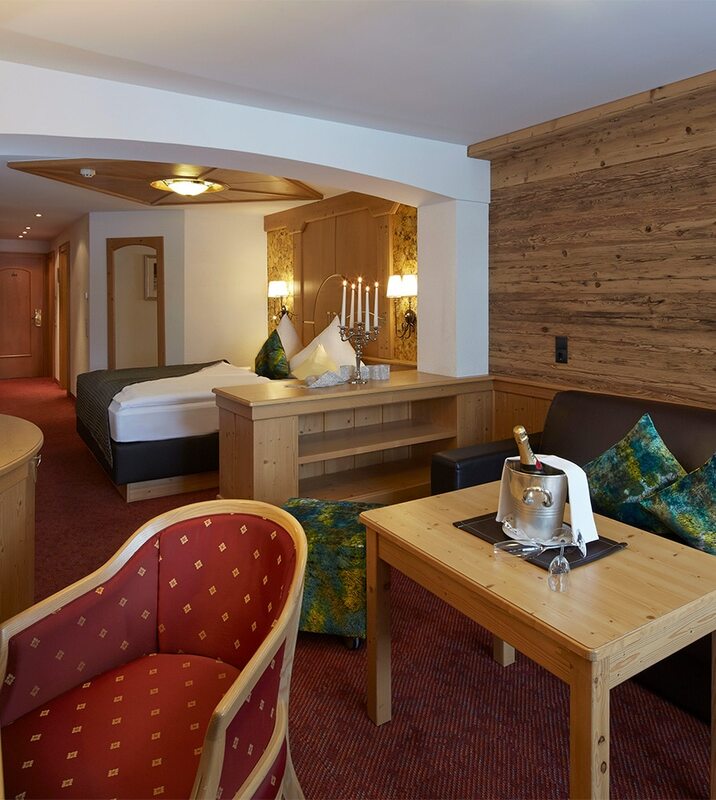 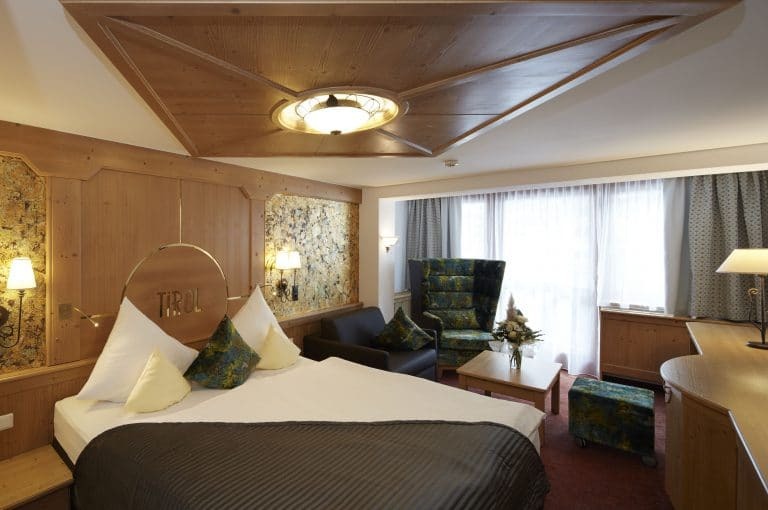 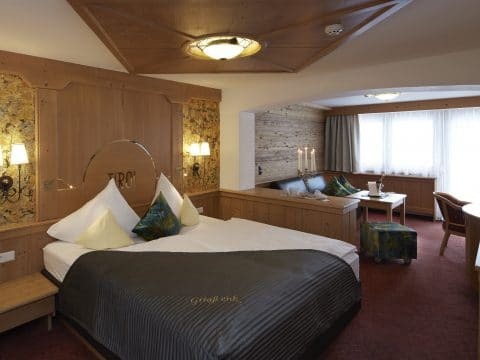 You will see Tyrol at its best when it comes to cosiness and elegance, while the redecorated rooms will impress you with wonderful combinations of colours and materials and most modern interior. 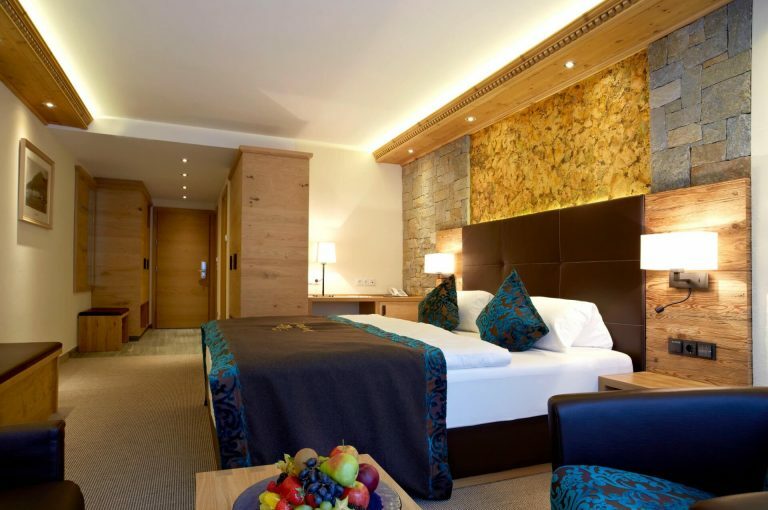 Each room has a balcony with garden, mountain or village view, a large bathroom and modern conveniences such as WLAN for free. 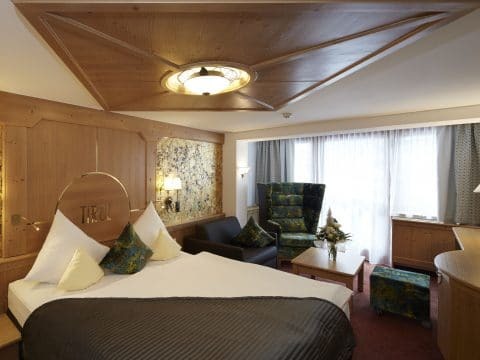 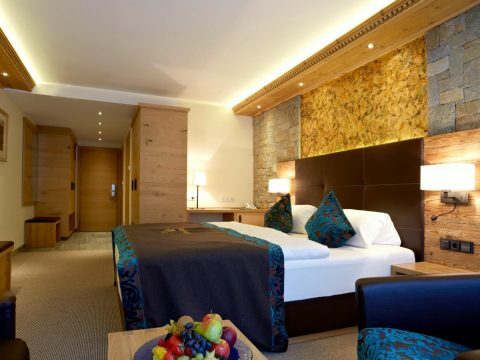 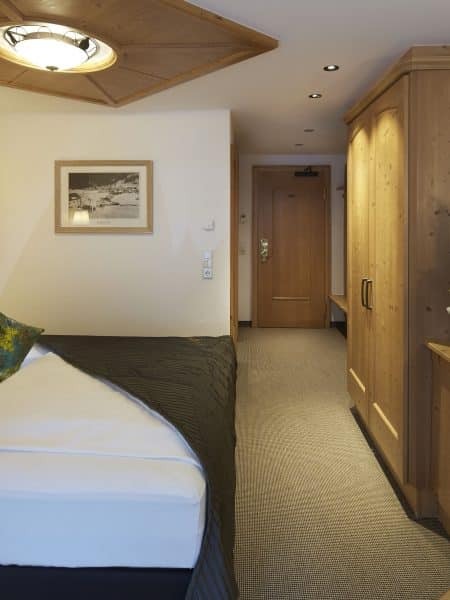 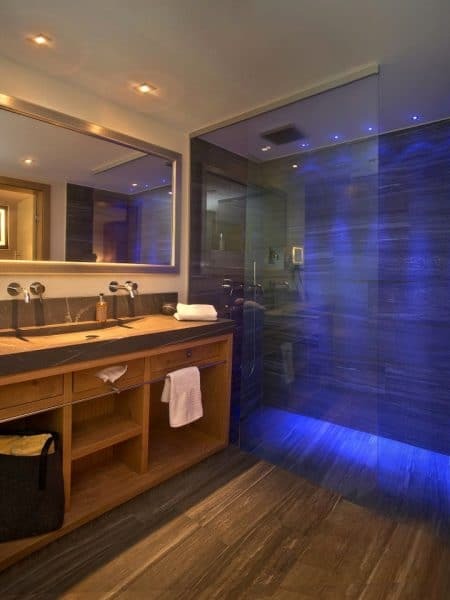 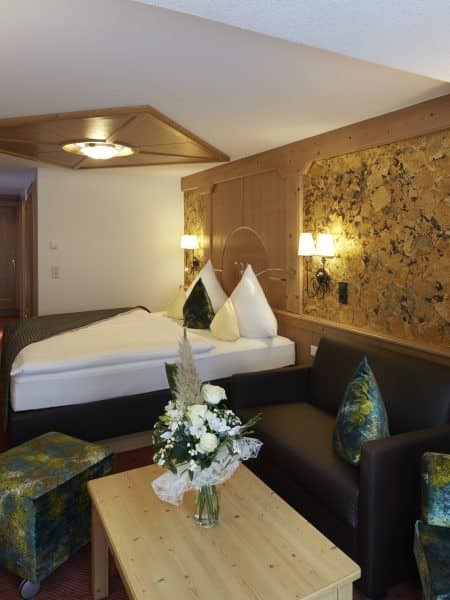 Take a look and find your own favourite room to enjoy your holiday in Ischgl to the full, including half-board, underground parking site and alpine spa****.